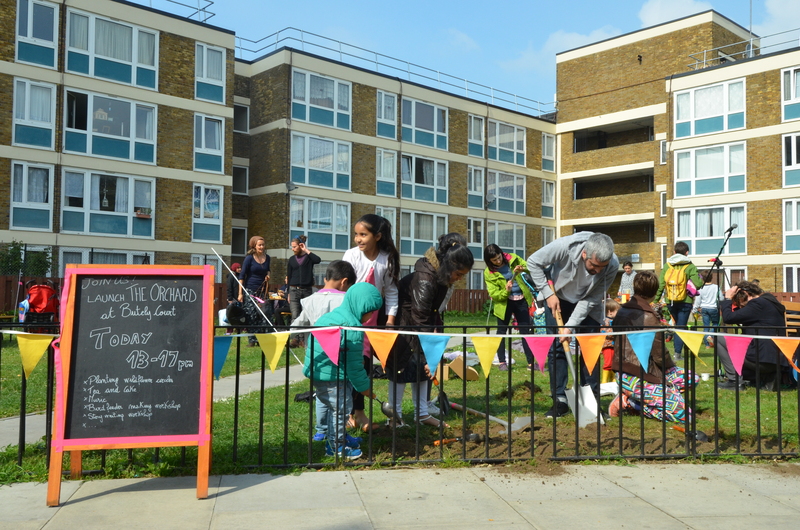 In partnership with Public Works and residents of Clarion, the community orchard project is designed to celebrate the public green spaces within the Old Ford Estate, just off Roman Road in Bow. The project was launched in response to feedback from local residents, who wanted to make better use of the large areas of green space within the post war estate owned by Clarion housing. 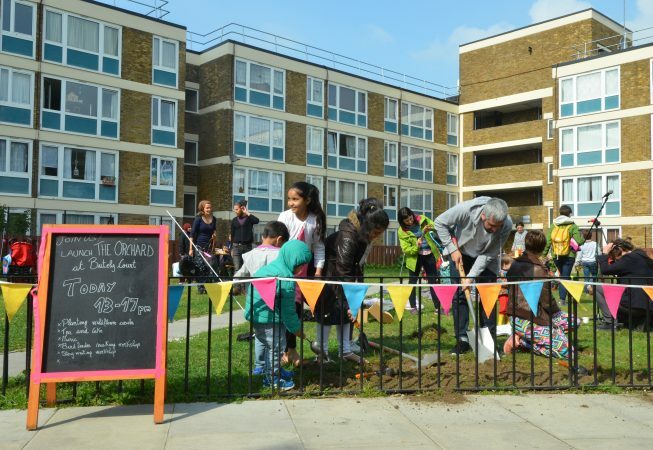 The community orchard is located in Butley Court, which sits between two low-rise blocks that provide housing for the over 60’s; and the project is designed to create a space and activities that will involve the older residents. The programme includes a series of workshops run by Public Works that will help ensure the orchard project will continue to grow beyond the funding cycle. These include workshops on governance and fund-raising.